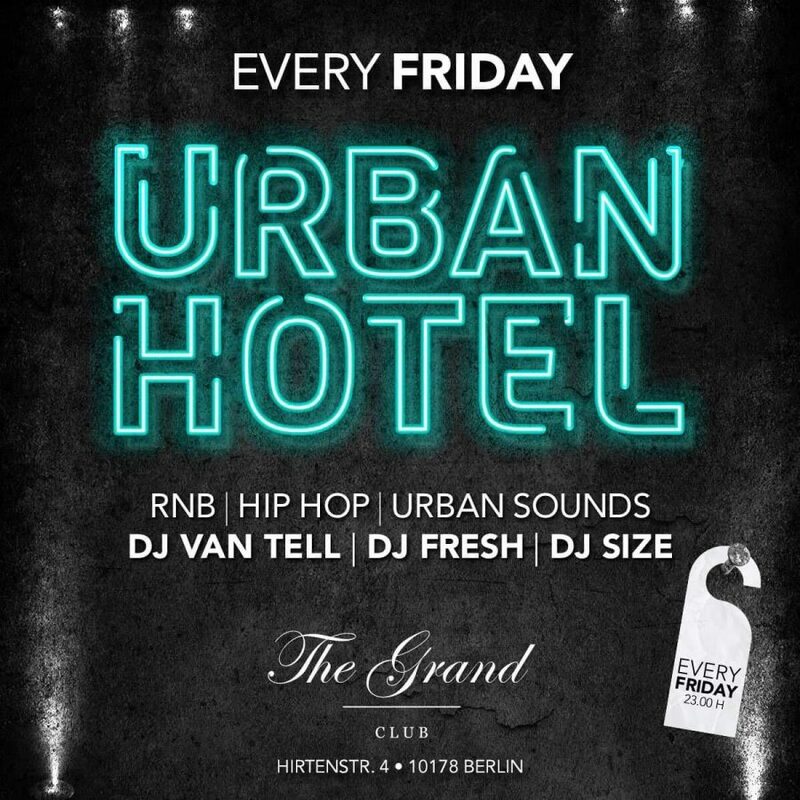 Urban Hotel is a weekly party at The Grand in the heart of Berlin dedicated to the love of urban music. Our resident djs play everything from 80s soul, 90s rnb , millenium hip hop sound and new school hits. All this is mixed with a splash of afrobeats and dancehall for the perfect friday night. Abendkasse 10,- €, mit Anmeldung FREIER EINTRITT bis 0:00 Uhr, danach 5,- € bis 1:00 Uhr! Ja, ich möchte auch über die kommenden Top-Events informiert werden!